Home » Crafts, Sewing, & Home Decor » Make-A-Cake Series » Make-a-Cake Series: Christmas Cookie Tradition……and a FAREWELL! 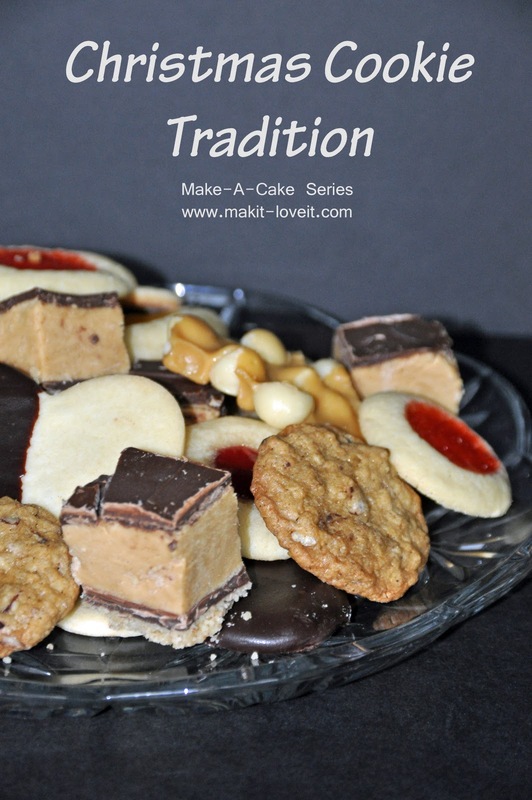 Make-a-Cake Series: Christmas Cookie Tradition……and a FAREWELL! I have some bummer news to share with you today. 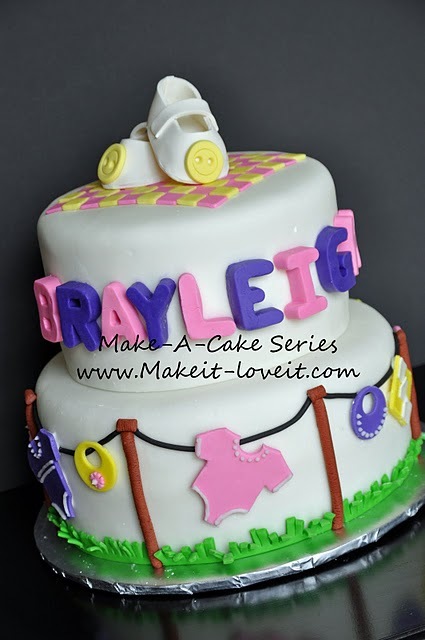 It couldn’t last forever………but the Make-a-Cake Series with my sweet little Brittany is coming to a close. I have always loved seeing what she has made, completely enjoyed following along as she shared her techniques, and gasped time after time after seeing her create something even bigger and better than the last edible creation. That Brittany sure has some talent in those fingertips. Life always surprises us with this turn and that……..and Brittany has a few other things she is pursuing right now. And best of luck to her. But dang it, I’m going to miss her around here. All of her past tips and tutorials will remain in the archives and can always be referenced here. No worries. And just because…….let’s remember some of those I-wish-Brit-lived-next-door-so-I-could-order-as-often-as-possible creations. And remember, all of the Make-a-Cake series tutorials can be found here. So yes, today’s edition of the Make-a-Cake series, will be the last one from Brittany…….a perfect and sweet little cookie tradition that she enjoys with her family. Thanks again Brittany for sharing so much with all of us. We’re all going to miss you. I love to make them, eat them and I love receiving them. I grew up with a Christmas cookie tradition that I look forward to every year. I wanted to share it with you today. Christmas cookies are very common to make. My mom put a spin on it growing up. Every Christmas I sat down and picked out a Christmas cookie just for me. My two siblings did the same. She would make dozens of each kind of cookies and a few she picked herself. Then we would have cookies to give to neighbors, the mailman, teachers, friends, etc. It always made me feel so special to have a cookie just for me. Over the years, we added more books and more favorite cookies. By the time I was 18, we each picked two cookies and helped with all the baking. When I left for college, my mom bought me my own copy of the cookie book to start my own tradition. I have kept the tradition with my family with one added twist. The holiday season is so busy. I am taking the cookie tradition as a opportunity to spend individual time with each member of my family during this busy time of year. After my kids and husband picked their cookie, I found time to make the cookie with them individually. Yep, even my husband and I take a night together after the kids are in bed to bake. This special time is fast becoming a treasure to me. Are you curious what cookies we picked this year? After they are all baked and cooled, I store them in Tupperware and freeze the cookies. Then they stay fresh tasting and ready to use at any time. Over the next two weeks, I can create little plates of cookies to give away, whenever I need them. Then on Christmas day, I use what’s left and compile a great plate of cookies for company. That is…if I have any left! The humble cookie. Can’t get enough. I hope you didn’t mind my trip down memory lane. I am so sad the Make a Cake Series is ending. I have really enjoyed learning more about cake making and I have been inspired. Thank you Brittany! I love traditions and have been looking for a few of my own since my little family just moved too far away from home to go home for the holidays. This looks like a fun one, and cookies are right up my ally. I'm sorry to see you go, and wish you luck with your endeavors. aww…going to miss Brittany for sure! So thankful for all of the cool cake things she has taught us! I am just dying to play with some fondant. All of your Christmas cookies look DELICIOUS! You make it so even I could make a cake! :) I've loved it! I LOVE this tradition idea. So fantastic! I think I'm going to start it next year. Every year I make lots of yummy goodies, but this would really make it even more fun. Thanks for the idea. Oh, and Brittany! You are going to be missed! You've given some great tips and ideas and I'm so glad for them! Thanks for sharing what you've learned and good luck with whatever comes next! Brittany, you are amazingly talented! Thanks so much for sharing your talent with us! The pecan supremes look delicious! This makes me so sad!!! Her posts are amazing her talent is fantastic and she really really inspired me to bake!!! Her Thanksgiving cupcakes were a hit when I did them for my family's holiday and I am doing a variation for xmas. Not too mention her tips have made my cakes yummier and prettier.. I tried working with fondant because Brittany made it sound so easy – – going to miss her! moi aussi je suis si triste ! merci à vous 2 d'avoir partagé vos petits secrets… de gourmandises pour les papilles et les yeux . bonne chance pour vos projets. Brittany, thanks for the beautiful cakes and all the tips. The Mrs. Field's cookie book is one of the first that I purchased for myself while in high school, or was it college… I love it, and love your tradition. I think we may have to start that as well. Best of luck in your new endeavors! My mother had the same book! I always LOVED choosing cookies from there to bake. Thanks for bringing back the memories for me! Merry Christmas. Oh I will miss all the yummy cakes Brittany! Thanks for all your talents! YOu are wonderful! Thanks so much for sharing all of your wonderful ideas with us! My daughter was just looking at the inside of your My Little Pony cake the other day asking if she could have it made for her birthday in January. I would have never even considered attempting it without you! You will be so missed! Thanks for sharing all of your ideas and creations!!! What a fun tradition! I love that idea. I will miss having you do your posts Brittany. I tried and succeeded making 2 different fondant cakes from your tutorials. Thank you for sharing your talents and knowledge with us! I make cookies with my son every Christmas Eve. It is one of my favorite Christmas Traditions! I am going to miss you Brittany!! I have loved the whole series! You inspired me to try making cakes and fondant! I made my twins first birthday cakes and they were amazing! Thank you so much for sharing your talents!! Thanks for everything you've taught us! Christmas Cookies are a large part of our Christmas season as well. It is nice to see others out there still have not given in to the materialistic side of Christmas. My favorites are Snickerdoodles and Kris Kringles. I am so very sad that the series has come to an end. You are truly and inspiration! Thank you for sharing all of your handy tricks and gorgeous cakes! Best of luck! Thanks for sharing your talents with us, and this cookie-baking-with-the-family tradition WILL be started at my home next year!